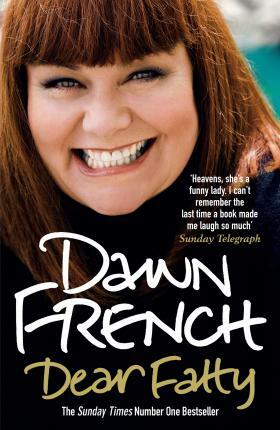 Dawn French is one of the greatest comedy actresses of our time, with a career that has spanned nearly three decades. Loved for her irreverant humour, Dawn has achieved massive mainstream success while continuing to push boundaries and challenge stereotypes. Here she describes the journey that would eventually establish her as a perhaps unlikely, but nevertheless genuine, national treasure. Dawn began her career as part of the groundbreaking alternative comedy group, the Comic Strip, marking a radical departure from the more traditional comedy acts of the time. Later came the all-female Girls On Top, which teamed Dawn with Jennifer Saunders, Ruby Wax and Tracy Ullman and firmly established women in British comedy. As part of the wildly successful and much loved duo French and Saunders, Dawn helped create a repetoire of brilliantly observed characters, parodying popular culture and impersonating everything from Madonna and Harry Potter to The Exorcist. Dawn's more recent role in the Vicar of Dibley showcased not only her talent but also her ability to take a controversial and topical issue and make it mainstream - and very funny. From her early years as an RAF child and her flat-sharing antics with Jennifer Saunders, to her outspoken views on sizism and her marriage to Lenny Henry, Dear Fatty will chronicle the extraordinary, hilarious rise of a complex, dynamic and unstoppable woman. "something of a revelation. Beacuse in among the the gags and photos of her bare bosom, there is intellectual rigour and real emotional intelligence ... heavens, she's a funny lady. I can't remember the last time a book made me laugh so much." Dawn French was born in Wales in 1957. She trained to be a drama teacher at London's Central School of Speech and Drama where she met Jennifer Saunders. Dawn French has numerous television credits to her name, the most notable of which is her role in The Vicar of Dibley. In 2014 she is embarking on her first ever solo tour, entitled 30 Million Minutes.